The walls of a five-bedroom Habitat for Humanity home funded by student initiatives were raised Saturday, March 2nd, as a tribute to former president George H. W. Bush. A year-long endeavor by students at the Bush School of Government and Public Service, the project is intended to honor the life and legacy of public service of the school’s namesake. Acting Dean Andy Card, formerly Chief of Staff to President George W. Bush, presented the project idea to Bush School students last year as an opportunity to do something important while completing their two short years in the program. A small group of students took leadership of the initiative and sought support from current and former students, faculty, Bush Library docents and community leaders. 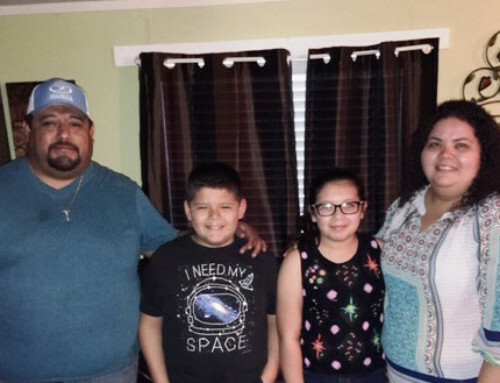 The $40,000 raised will build a new opportunity for the Ybarra family. 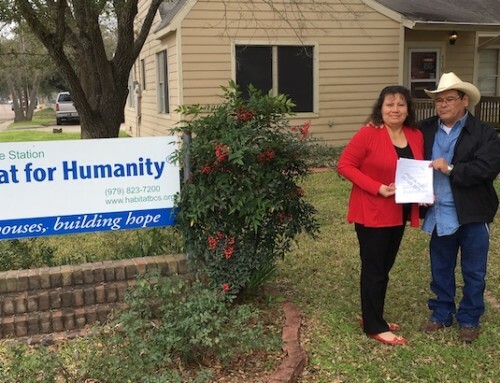 The Bush School community is not only sponsoring the home financially, but also providing most of the volunteers to build it. 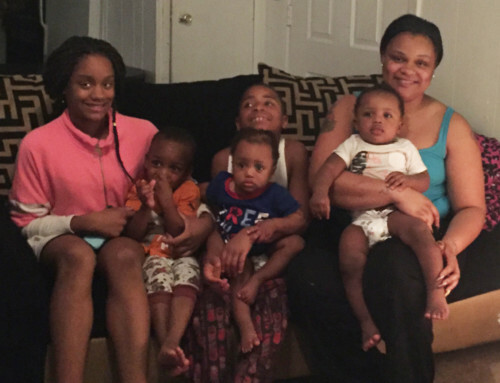 Dean Card is no stranger to Habitat worksites, and the current and former students are excited to see the project through to completion. Construction kicked off Saturday and will continue through April. 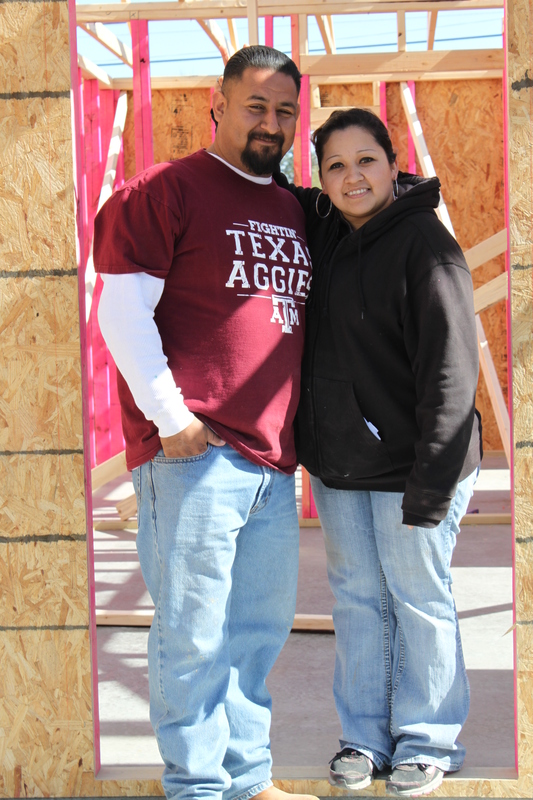 “We had already planned on painting the house maroon and white because we just love the Aggies!” Stephanie said.